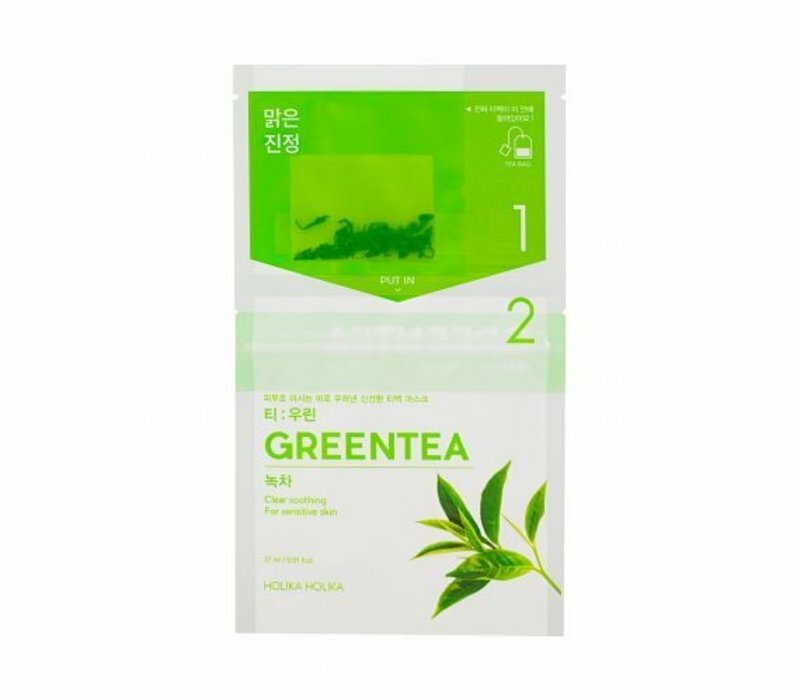 Holika Holika Instantly Brewing Tea Bag Mask Green Tea is a mask with delicious herbs that provide a fresh, radiant and smooth skin. 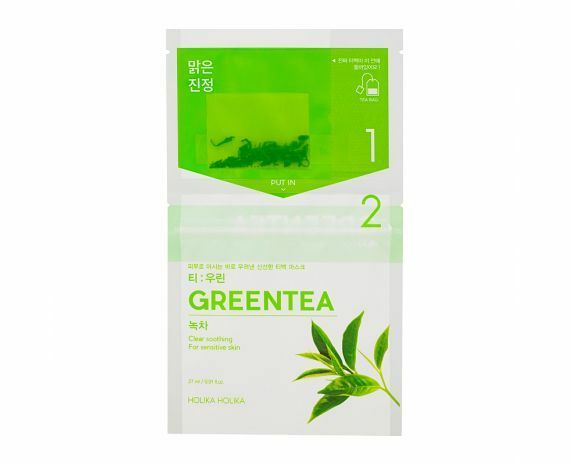 The sheet mask contains green tea extracts that ensure that pores are cleaned, bags are reduced and the healing process is accelerated. The vitamin C, K and B improve the skin's nutrition and provide elasticity. This mask is ideal for dry and / or sensitive skin. The mask has a special package with closure. The herbs remain fresh and are added to the mask as soon as you want to use them. Cleans the pores and reduce puffiness. Nourishes the skin and provides elasticity. Suitable for dry and / or sensitive skin. Open the package with the herb bag. Place the herb bag in the package with the mask. Rub the mask between your palms for 1 minute. Remove the mask and apply it to your face. Allow the mask to retract for 15 minutes. Camellia Sinensis Leaf 0.5g, Water / Aqua, Glycerin, Dipropylene Glycol, Carbomer, 1,2-Hexanediol, Butylene Glycol, Ascophyllum Nodosum Extract, Xanthan Gum, Epilobium Angustifolium Flower / Leaf / Stem Extract, Arginine, Betaine, Panthenol, Centella Asiatica Extract, Udaria Pinnatifida Extract, Zanthoxylum Piperitum Fruit Extract, Illicium Verum (Anise) Fruit Extract, Lonicera Japonica (Honeysuckle) Flower Extract, Citrus Paradisi (Grapefruit) Fruit Extract, Sodium Hyaluronate, Scutellaria Baicalensis Root Extract, Camellia Sinensis Leaf Water, Artemisia Capillaris Extract, Camellia Sinensis Leaf Extract.